This application note is focusing on using winding resistance measurements on power transformers for diagnostic purposes. The intention is to guide the operator in the appropriate measurement method and assist in the interpretation of test results obtained. It is not a complete step-by-step procedure for performing tests and is not replacing the user manual for the actual instrument. Before performing any test with an instrument, read the user manual and observe all safety precautions indicated. 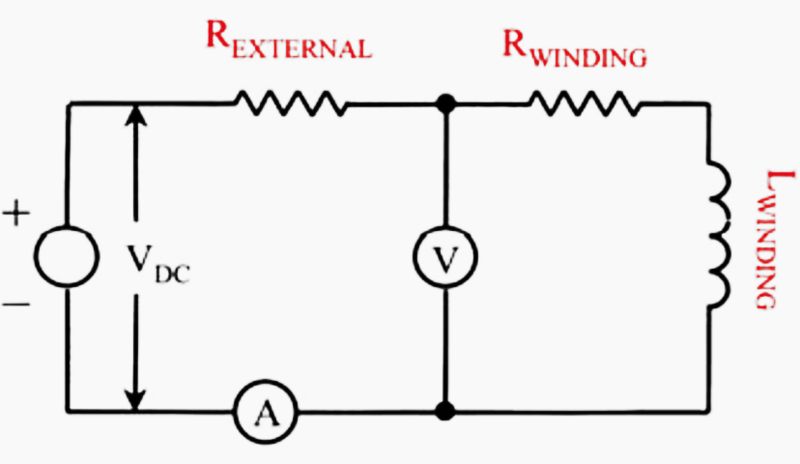 Calculation of winding temperature at the end of a temperature test cycle. As a diagnostic tool for assessing possible damage in the field. Transformers are subject to vibration. Problems or faults occur due to poor design, assembly, handling, poor environments, overloading or poor maintenance. Measuring the resistance of the windings assures that the connections are correct and the resistance measurements indicate that there are no severe mismatches or opens. Many transformers have taps built into them. These taps allow the ratio to be increased or decreased by fractions of a percent. If any of the ratio changes involve a mechanical movement of a contact from one position to another, these tap changes should also be checked during a winding resistance test. Regardless of the configuration, either star or delta, the measurements are normally made phase to phase and comparisons are made to determine if the readings are comparable. If all readings are within one percent of each other, then they are acceptable. Keep in mind that the purpose of the test is not to duplicate the readings of the manufactured device, which was tested in the factory under controlled conditions and perhaps at other temperatures. Risk of damage is significant whenever a transformer is moved. This is inherent to the typical transformer design and modes of transportation employed. Damage can also occur during unloading and assembly. The damage will often involve a current carrying component such as the LTC, RA switch or a connector. Damage to such components may result in a change to the DC resistance measured through them. Hence, it is recommended that the DC resistance be measured on all on-load and off-load taps prior to energizing. If the transformer is new, the resistance test also serves as a verification of the manufacturers work. Installation measurements should be filed for future reference. 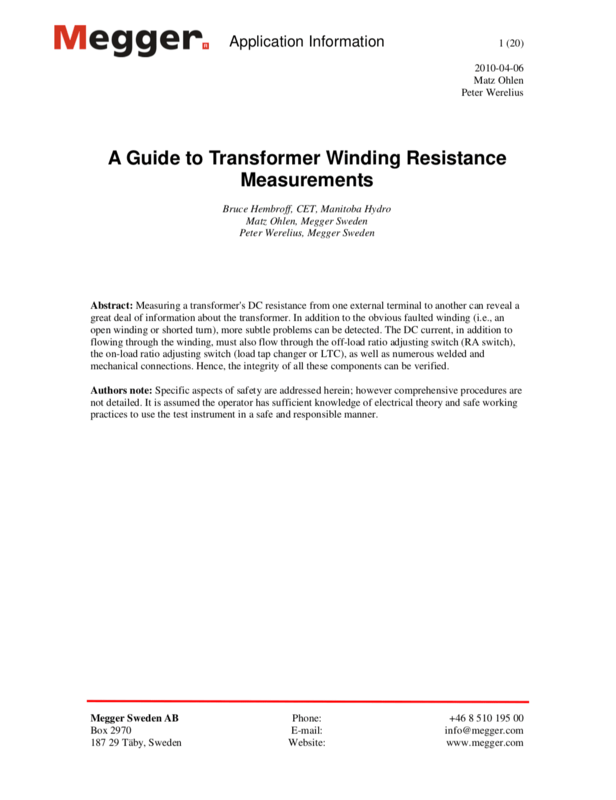 Transformer windings measurement principle – A DC test current is injected across the measured winding (-s), the voltage drop as well as the test current is measured and the resistance is calculated. Routine maintenance is performed to verify operating integrity and to assure reliability. Tests are performed to detect incipient problems. What kind of problems will the resistance test detect? SAFETY! Specific aspects of safety are addressed in this guide. However comprehensive procedures are not detailed. 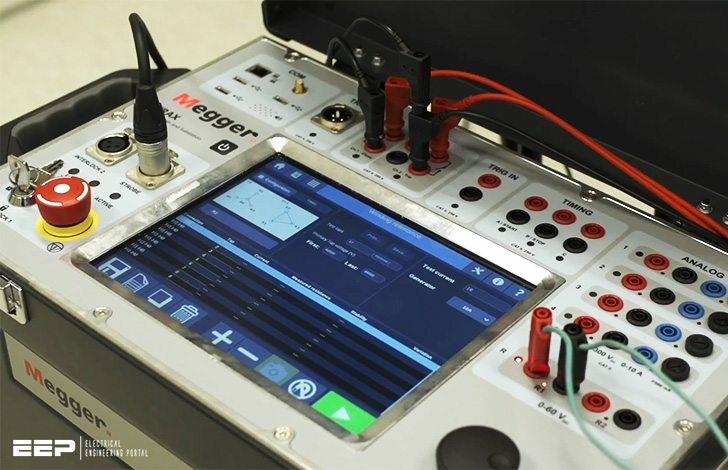 It is assumed the operator has sufficient knowledge of electrical theory and safe working practices to use the test instrument in a safe and responsible manner.